Click, connect, create! Kids will love following along with the step-by-step idea booklet to discover the possibilities of the Walking Robot Set. Build 8 walking characters using our STEAM engine block and walking accessories. Let your imagination run wild as you discover the strength of MAGFORMERS® and see what you can create! STEM education has never been so much fun! Compatible with all MAGFORMERS® shapes and accessories. (Excluding XL Shapes) BPA Free HQABS Plastic. 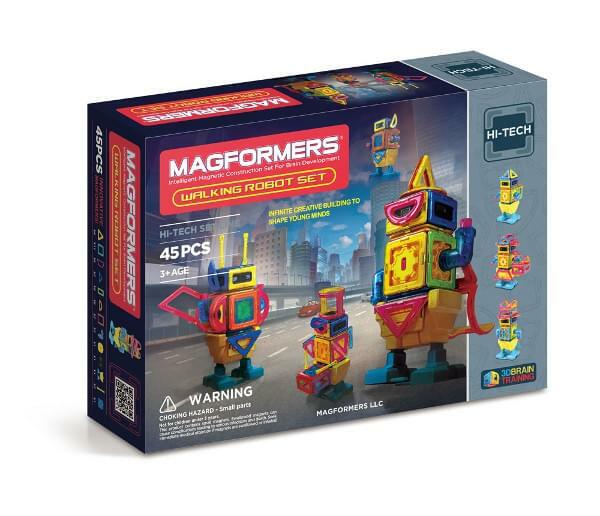 If You Liked Magformers Walking Robot Set (45 PCS), See More Related Products Below!